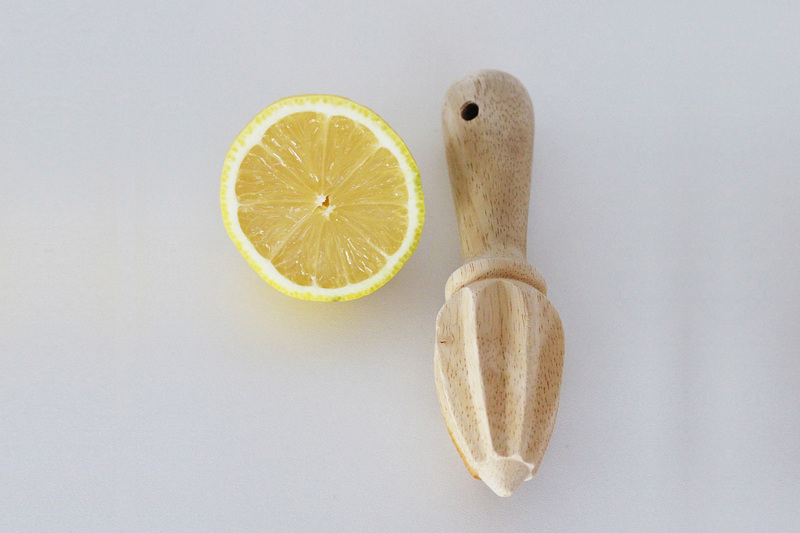 This lemon juicer is one of my favorite kitchen tools. It’s easy to use, clean, and it can squeeze most of the juice out of a lemon. I discovered this pretty wooden tool by “accidentally” listening into another conversation at Fishs Eddy, one of my favorite stores in New York. She claimed that she couldn’t live without it and it was her favorite kitchen tool. I couldn’t resist such a claim so I bought one for myself. The woman was right! I use it all the time. I love it so much that I bought one for my mum and one for my brother as small Christmas presents, and they love those pretty little lemon juicers. This is a great little gift if you know somebody who loves to cook as much as I do. Valdigt snygg!! Undrar om den gar att fa tag pa i Dubai? Har hittat din blogg via Mitzie Mee!! Maybe there is an Amazon in Dubai, where you can buy it. Good luck finding one. Clever!!! I have a plastic lemon and orange juicer w/ a container/strainer below it. While it works well it requires more cleaning and this looks like it allows for more leverage. Definitely getting one. Yes I like easy cleaning! Could I have one when you return to Vietnam! 🙂 I haven’t seen it in Vietnam yet. Yes of course Truc. I can send one with my parents they will probably see you before i do.